CONSTRUCTION: The Heavy Duty Filter is a heavyweight aluminum filter. It consists of multiple layers of aluminum expanded material, assembled in alternating layers to assure maximum filtering and internal loading capabilities. The media is enclosed in a heavy weight aluminum frame, mitered and secured at one corner by rivets. 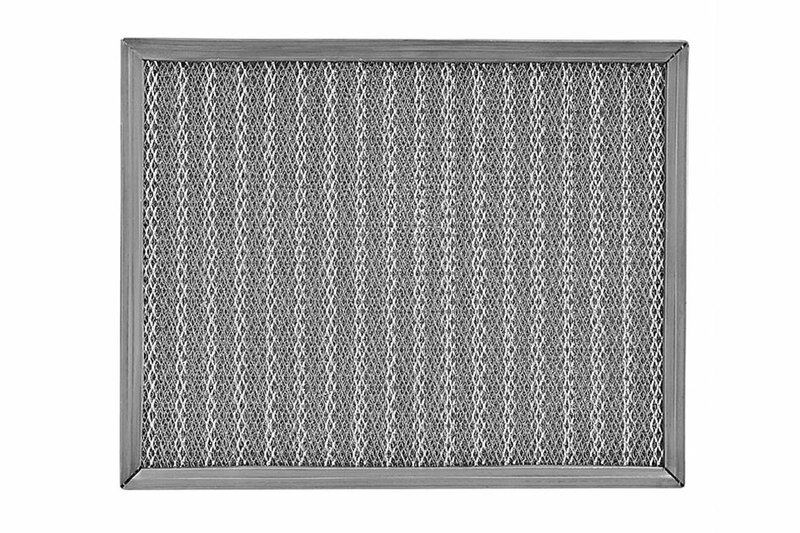 Designed with an extra layer of heavier diamond grid to protect the finer layers behind, these filters can stand up to rigorous handling that some other lighter filters can not withstand.The filter is designed for applications such as industrial, commercial, schools, office buildings, hospitals, and hotels where a heavy duty permanent filter is recommended. Maximum temperature range on the Heavy Duty Filter is 275 degrees F. Available in both stock and special sizes. Available in 3” and 4” thicknesses. MATERIAL: Filtering element shall be processed from sheet Aluminum, commercially known as 3003-H22, .025 in thickness expanded with .065 strand. Frame shall be made from sheet Aluminum 3003-H14, .040 thickness.